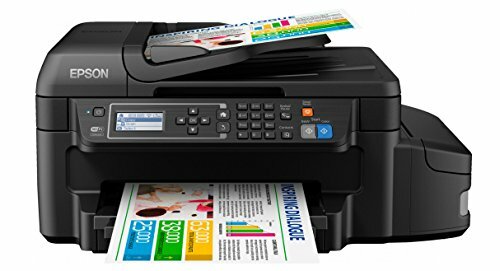 Epson L655 Review – There are a lot ot printers out there: different manufacturers, different strong suits. 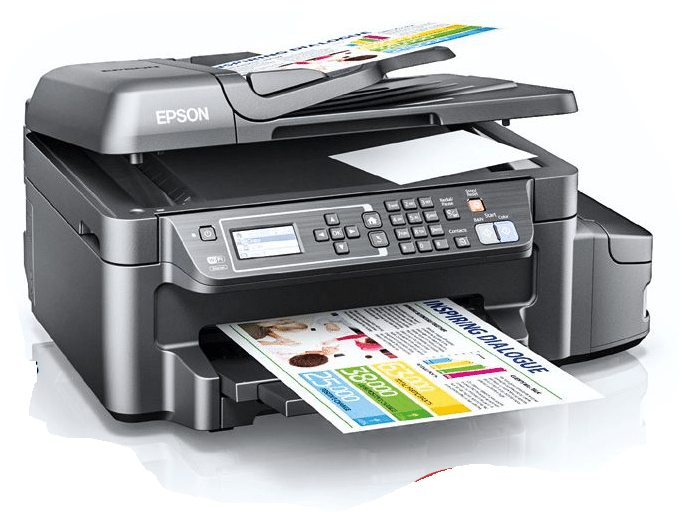 Epson is a tried and tested brand that offers printers with great quality output and pretty low costs. The L655 Is one of the company’s newer ink tank printers; will it be up to the company’s snuff? Here is one word to describe the printer: cute. It has non-aggressive rounded edges and a snub figure and fits easily on top of a desk or small table with plenty of room to spare for files and document organizers. However, do not let the size fool you. While it is smaller than the usual all-in-one printer, Epson managed to put in all the features you would get from any other printer. It has a decent-sized paper tray that can hold about half a ream, and the fax entry conveniently placed on top. The inner mechanisms are easily accessible to remove paper jams, and the ink tank is conveniently located at the side, and does not feel too obtrusive. As far as printers go, the L655 is a very good looking printer that is perfect for small offices with a limited amount of space. The L655 is a complete package that unites the printer, scanner and fax machine. Given its size, the printer only supports letter, A4 and legal sizes, and can print up to a swift 33 pages per minute with an automatic duplex feature which allows back-to-back printing without manual intervention. The flatbed scanner, on the other hand, supports only letter and A4 sizes, but has a copier function for fast document copying. The fax component supports both black and white and color faxes with a speed of up to three seconds per page which is actually pretty good. The L655 also has a 1.1 MB page memory which equates to about 100 fax pages that are saved on the system should it fail to print or run out of ink or paper. 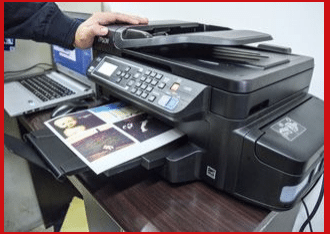 The L655 has Wi-Fi and Wi-Fi Direct connectivity and can also connect to smart devices via the Epson ¡Print app which allows remote printing from anywhere around the world via a connected device and printer and automatic saving of scanned documents and photos. It supports Epson Email Print and scanning directly to the Cloud. Another plus is the printer supports third party solutions like Apple AirPrint, Google CloudPrint and Mopria Print Service. In terms of ink capacity, the L655 uses 774 Black which has a yield of 6000 pages per refill while the 664 Cyan, Yellow and Magenta have yields of up to 6500 pages. And for a small office or home use, that equates to a very long time before the next refill. Setting up the printer from the box to full operation, including the wireless connectivity is very easy: remove some security tape here and there, squeeze in the ink, plug in the printer, and initiate the software install. It was a very simple and straightforward task. A special commendation should also be awarded to the company for creating a manual that is actually easy to understand. The printer took a very short amount of time to start up and be ready to print and its interface controls were easy to pick up, and within a few minutes of exploration, I knew where everything was. In terms of print quality, the L655 was able to print nice looking documents with a deep black for the plain text and vivid colors for pictures at really fast speeds, even for large images. The only qualm I have is the printer’s capabilities on specialty paper as I tried to print several images on different types of paper from plain paper to super glossy sticker and photo papers. On many specialty papers, the colors appear more watered down and horizontal lines were clearly visible on most of the pictures. However, I do understand that the L655 is not really meant for that kind of printing, but it would have been a nice bonus for such an awesome printer. For about, you are getting a printer, fax machine, and scanner. You are also getting high print yields with quality output. That’s a pretty good deal. It’s a standard Epson printer: reliable and economical. For about, you are getting a printer, fax machine, and scanner. You are also getting high print yields with quality output. That's a pretty good deal.